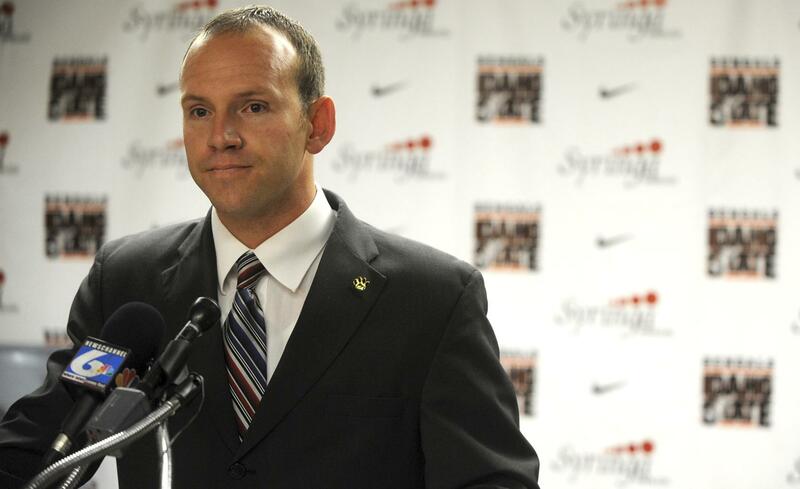 Wed., Aug. 29, 2018, 9:45 a.m.
POCATELLO – Idaho State University Director of Athletics Jeff Tingey, who was placed on paid administrative leave Friday, will not return to the university, ISU officials said. “Jeff Tingey’s removal was not over any scandal or violation, but was about changing the direction of the athletic department,” ISU President Kevin Satterlee told the Journal on Tuesday. Tingey will remain on paid leave until his contract expires in June 2019. Satterlee’s comment is the most specific reason ISU has given for Tingey’s removal thus far. ISU spokesman Stuart Summers said ISU is preparing to conduct a national search to hire its new athletic director. In the meantime, “plans are being discussed” to name an interim athletic director from within the university, Summers said. Summers added that whoever assumes the interim role will not remain ISU’s athletic director once the school’s national search has concluded. The interim athletic director will not be a candidate for the permanent position, Summers said. Tingey was hired as ISU’s athletic director on July 1, 2009, after serving as the school’s interim and then acting athletic director. He was signed to a new two-year contract last June paying him $150,467 annually through June 2019. He will continue being paid that salary until his contract runs out. Tingey is the son of longtime ISU Vice President Kent Tingey. Neither Jeff nor Kent have publicly commented yet on Jeff’s removal from the athletic director position. Published: Aug. 29, 2018, 9:45 a.m.